With the onset of demons in movies this year, you know that we would be getting some classic demon movies on Blu-ray soon. 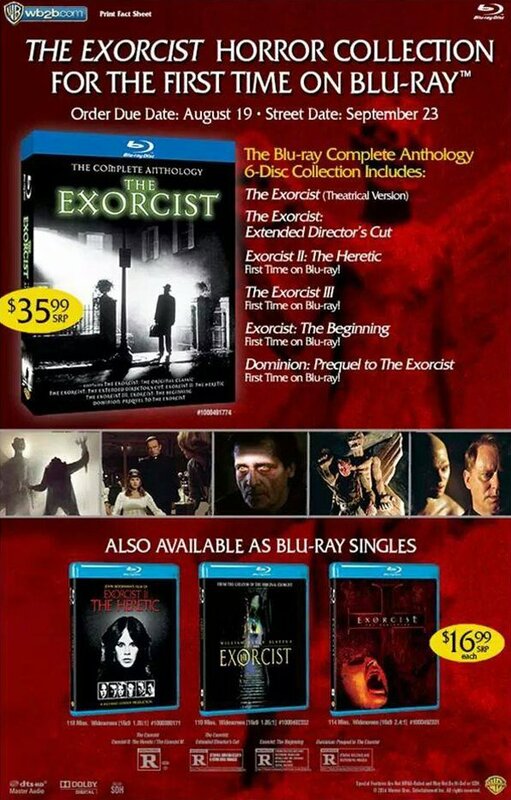 We now have The Exorcist: The Complete Anthology Blu-ray releasing this September 23, 2014. No word yet on the special features but I am hoping that something great is in store for us, I already have the entire collection on DVD. 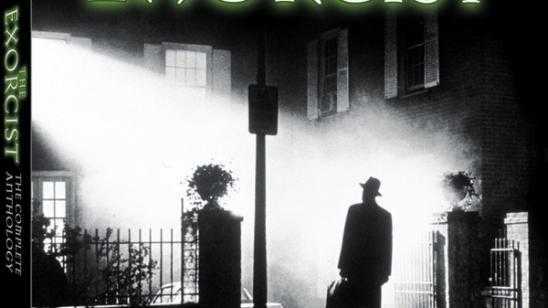 Take a looks at the classic cover art and get ready to watch the demon possess Regan (Linda Blair) and fight Father Merrin (Max von Sydow) once again. Here it is.The scream of the crop. The scariest and most fascinating collection of movies in modern horror. At the center of these ultimate clashes between darkness and light are intrepid souls who dare to look evil in the eye and unsheathe the weapons of faith. 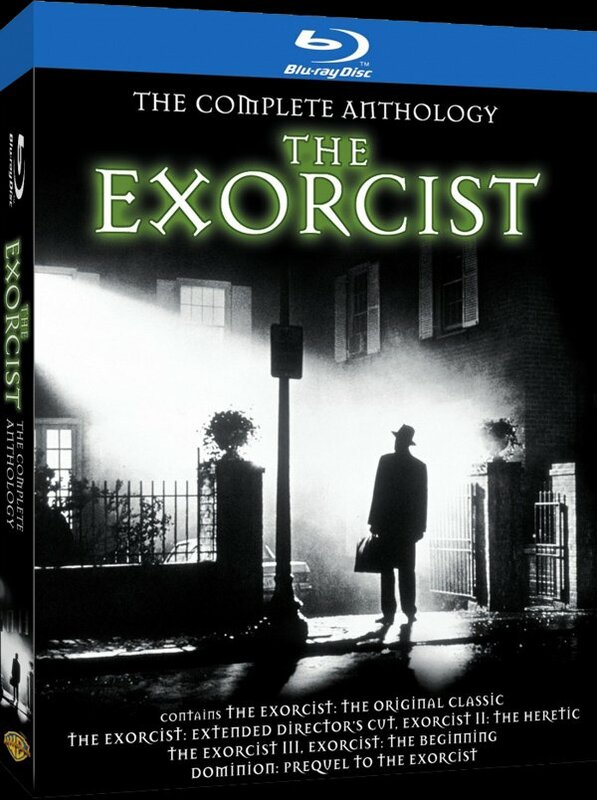 The struggle begins with the trend-setting The Exorcist (presented it its original theatrical version and extended director’s cut). Exorcist II: The Heretic and The Exorcist III bring added perspectives, blood-curdling visuals and shocks to the harrowing tale. And the two prequel stories (by two different directors) of Dominion/The Beginning enrich the original by revealing the amazing genesis of the battle between Father Merrin and humanity’s most insidious foe. Official Synopsis: A visiting actress in Washington, D.C., notices dramatic and dangerous changes in the behavior and physical make-up of her 12-year-old daughter. Meanwhile, a young priest at nearby Georgetown University begins to doubt his faith while dealing with his mother's terminal sickness. And, book-ending the story, a frail, elderly priest recognizes the necessity for a show-down with an old demonic enemy.